Maimonides said that “there is no greater mitzvah than paying the ransom to free captives.” The Jewish People has a long and honorable history of following Maimonides’ injunction. The Shulhan Aruch even judges that ransoming captives is more important than feeding or clothing the poor. But there is another Talmudic tradition that adds two provisos: if the ransom could impoverish the paying community, or if the ransom could encourage more kidnappings, then captives should not be ‘ransomed above their actual worth” (BT Gittin 45a). As the run-in to the elections begins, we find ourselves at the heart of a painful, bleeding, urgent Talmudic dispute. While the Israeli media sides with Maimonides, Tzipi Livni recalls the earlier caveat of the Mishnah. In this issue that is both a matter of morality and policy, where the traditions of the Jewish People come to bear as much as the campaigns of the General Election, what should be the response of the Jewish world? 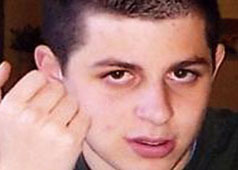 Should the People of Israel pay any price to free Gilad Shalit?